Let's Go Pikachu & Eevee: Pokémon Switch Games Leak (Report) | Nerd Much? It’s been nearly a year since Nintendo and The Pokémon Company announced that a mainline Pokémon game would be coming to the Nintendo Switch. Since then, the companies have remained silent on the project. But new leaks having seemingly unearthed some major details, including titles. 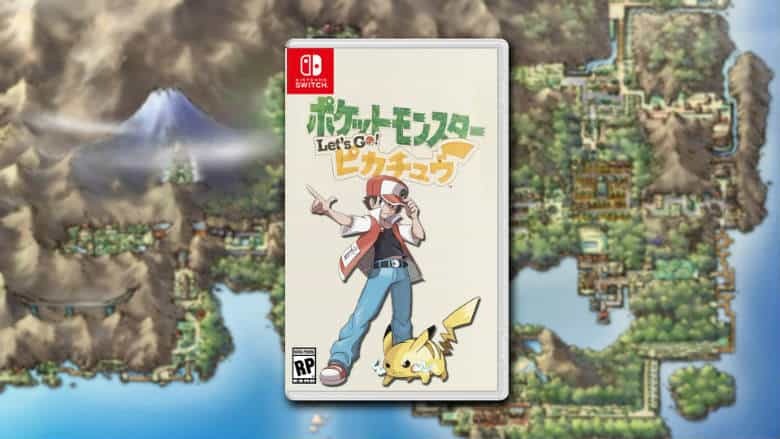 The duo of games will be called Pokémon Let’s Go Pikachu and Let’s Go Eevee. Since the project’s announcement last June, many speculated that the Switch Pokémon game/games would be a recreation of the original Red & Blue versions. And while not entirely accurate, they were close. Let’s Go Pikachu and Let’s Go Eevee will instead take most of its inspiration from Pokémon Yellow. This is first, so I don't expect anyone to straight up believe me. I have a source that can confirm these leaks as true, I guess we'll find out in the future. Furthermore, Emily Rodgers (a renowned leaker of Nintendo properties) chimed in with some information of her own yesterday. She said that the titles would be “revealed by the end of the month”. And even suggested some potential Pokémon Go collaboration. Finally, she stated that the “naming/branding for this year’s Pokémon Switch title (there’s two versions) might raise a few eyebrows.” I think that Let’s Go Pikachu and Let’s Go Eevee would do just that for many. There were a few other tidbits of information from the original 4chan leak. Just as Pikachu did in Yellow, following Pokémon will return. The characters of Red and Blue are said to have roles in the story, with you and your rival being separate, new trainers. Pokéride will return as a replacement for HMs. There will be an online hub for players to gather. 4chan too said there will be Pokémon Go integration, with catching Pokémon utilizing the same mechanics as the mobile app. We also were given the logo image that you see atop the story above.